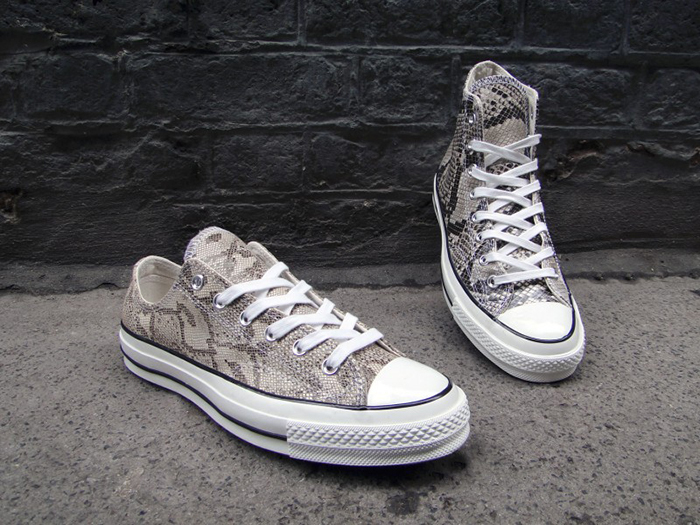 The Year of the Snake theme still runs strong as Converse release a First String pack of their recently unearthed 1970’s shapes in allover snakeskin make ups. Since the 1970’s collection debuted a couple of weeks back, I’ve quite literally been having dreams about the things. 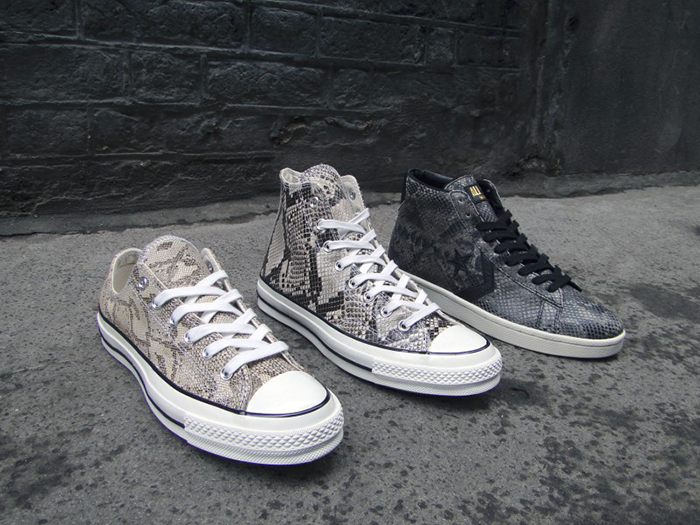 The streets are awash with Chuck Taylors at present, but these represent something quite different altogether. 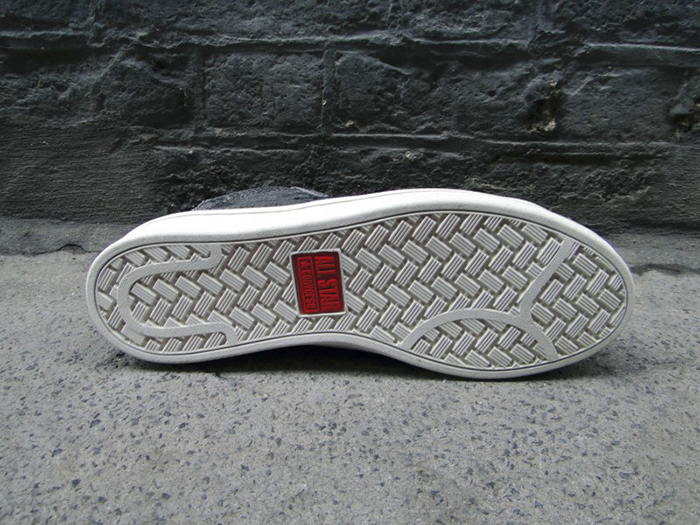 The careful attention to materials & stitching together with a more substantial toebox & sole, and the classically styled branding that appears on the heel tab have created some simply beautiful specimens that deserve to be celebrated. 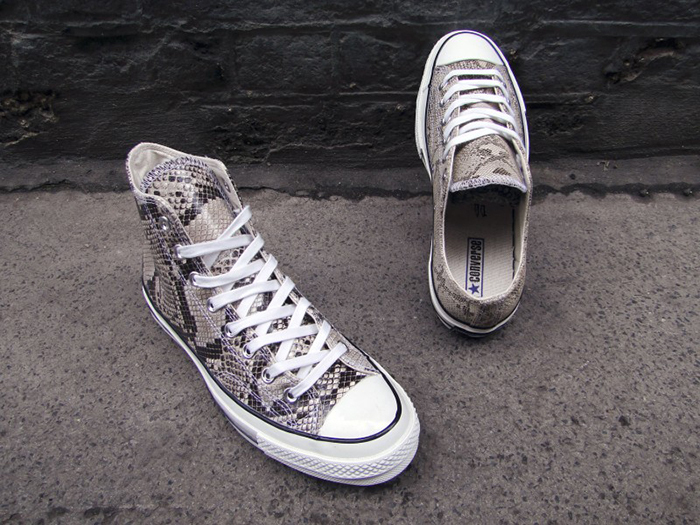 The Year of the Snake pack utilises both Anaconda and Python skin in the construction of the Chuck Taylor Hi and Chuck Taylor Ox, both finished with nickel eyelets. 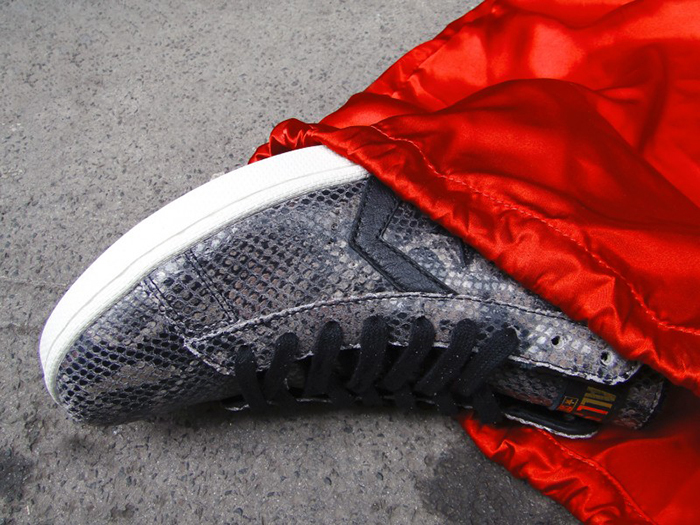 They’re joined by a snakeskin Pro Leather Mid with black leather branding and a red satin interior, but for me the Ox is the real highlight and really shows that today’s ‘modern’ shape has nothing on the classic. 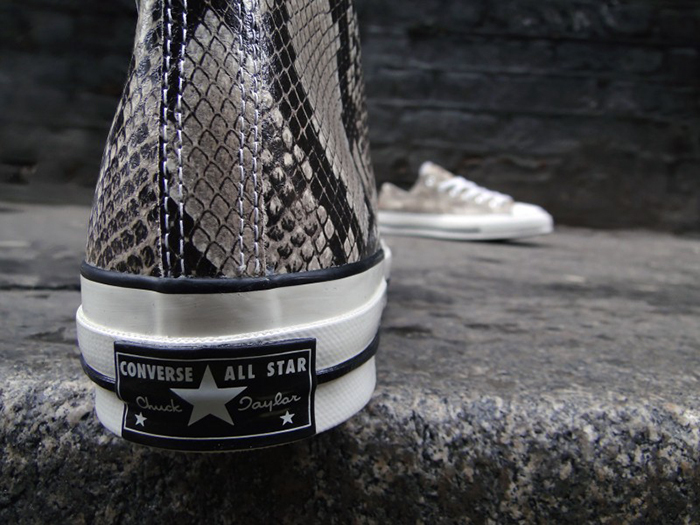 While snakeskin shoes are usually a little hard to swallow for most, this First String pack somehow manages to keep it classy. 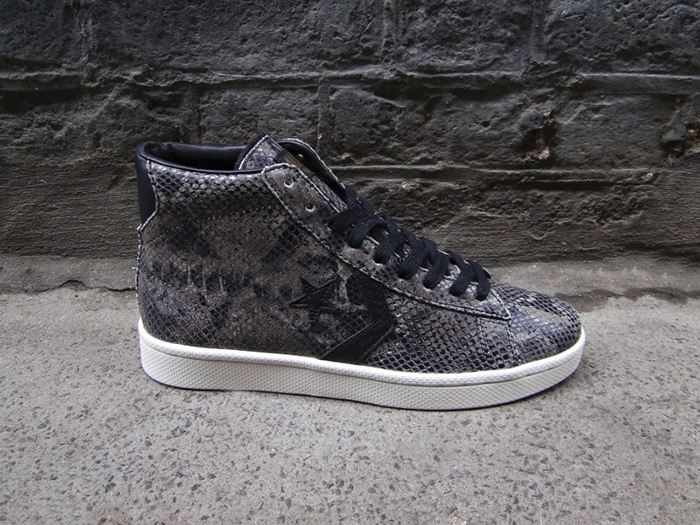 The pack goes on sale tomorrow at 10am at Footpatrol priced at £60 (CT Ox), £65 (CT Hi) and £75 (Pro Leather Mid).